The last game City played in this competition was the final at Wembley back in May. We start again, this time from Ninian Park for it's last ever FA Cup campaign before the move to the new stadium in the summer. If we half a good a cup run as last year i'll be happy but we have to go into tomorrow's game with confidence against a Reading side that could see 8 or 9 changes from from the Championship side. Unfortunately we have no Michael Chopra, his loan spell ended and he's returned to Sunderland. Hopefully though Ross McCormack will be fit, Chopra was here to cover McCormack's injury and Ross is our leading scorer this season. The other bad news today is the loss of Wayne Routledge. Aston Villa have recalled him after accepting an offer from another club, believed to be Q.P.R. They have the financial clout that we can't compete with and Wayne will be going back home to London. Disappointing for sure but the club gave it their best shot to keep him. We have Peter Whittingham fit again so we have a like for like (if not quite as quick) replacement. Dave Jones has players on the bench and others waiting in the wings to get back into the squad so while he might make a couple of changes I don't think he'll make too many. 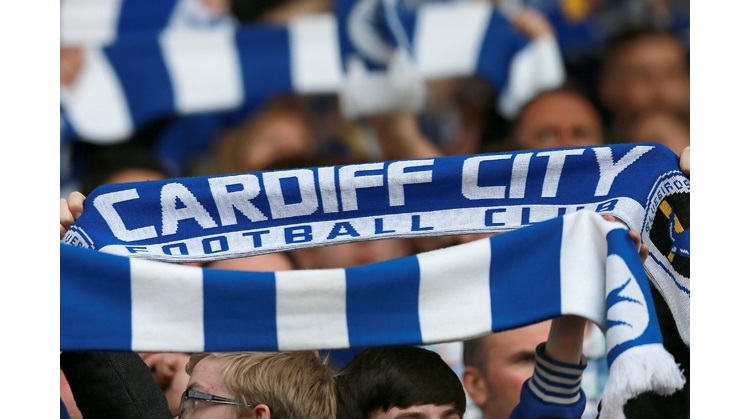 It's a game that's important to Cardiff fans, especially after last season. Kick off is at 3:00pm, Saturday January 3rd, 2009 and the referee in Anthony Taylor from Greater Manchester. Tickets are now on general sale with the deadline for Ambassadors to claim their seats now passed. The ticket office is open until 7pm tonight and from 9am in the morning. Please allow plenty of time if you are collecting tickets tomorrow or purchasing them. Should the match end in a draw the replay will be at the Madejski Stadium on Tuesday January 13th, ko 8:00pm.